At ISTP, we strive to teach our students the importance of giving back, a principle we put into action each year through canned food drives, Christmas gift donations, and much more. 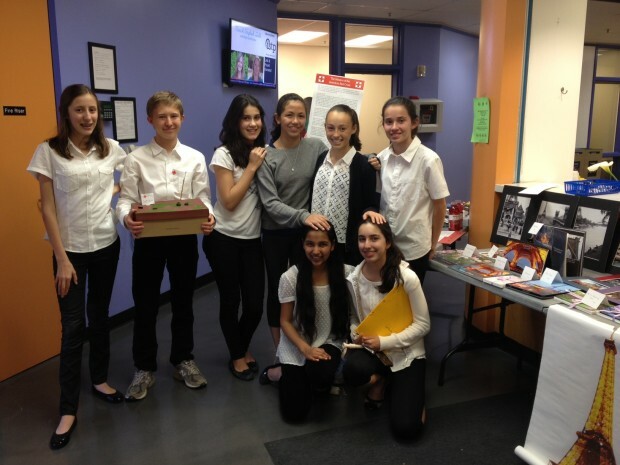 This year, one ISTP student went above and beyond expectations, and showed an incredible willingness to put good intentions into action when she founded the first ever ISTP Red Cross Club. To begin the club, Chloé first talked to the head of the Bay Area Red Cross Chapter. Then, she got the approval of Middle School Principal Barbara Greiner, and recruited Middle School history teacher and Guidance Counselor Rebecca Schall to be the club’s advisor. The club’s mission is to both raise money for the Red Cross, the largest humanitarian organization in the world, and lead or participate in other community service projects. The club meets every Friday, and currently has around 20 members. Each meeting, members brainstorm projects and fundraisers they might like to pursue, and then work on making posters and plans to put their ideas into action. 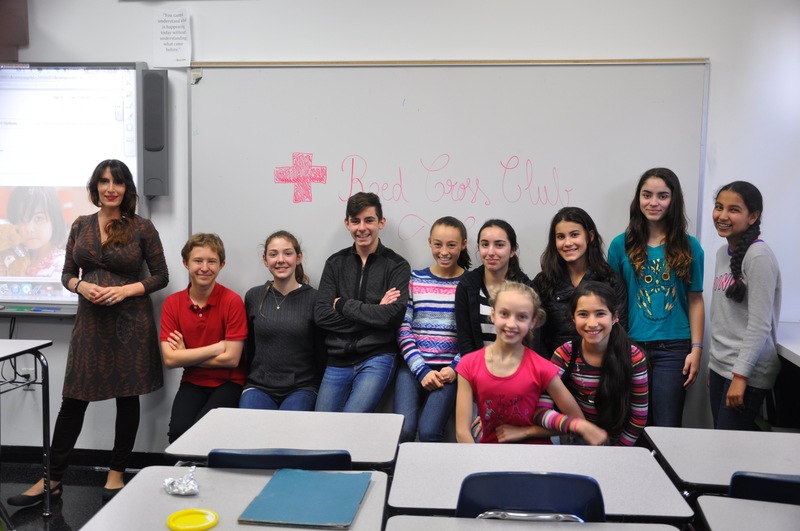 So far this year, the Red Cross Club has been very busy. Members helped raise money for hurricane relief in the Philippines, and participated in the Holiday Mail for Heroes Campaign by organizing the 8th Graders to make holiday cards for American soldiers serving overseas. They collaborated with the Student Council on the Thanksgiving food drive, and helped the Elementary School collect Christmas donations for a Russian orphanage. They have also hand made delicious goodies to sell at two bake sale fundraisers. The largest and most successful project the club has organized thus far is the fundraiser they ran at ISTP’s 26th Annual Gala and Auction. Because the club’s advisor Rebecca’s husband works at Shutterfly, students had the fun opportunity to design their own Shutterfly products to sell. Products included stationery, iPad covers, framed photographs, photo books, and more, showcasing images the students had captured themselves. 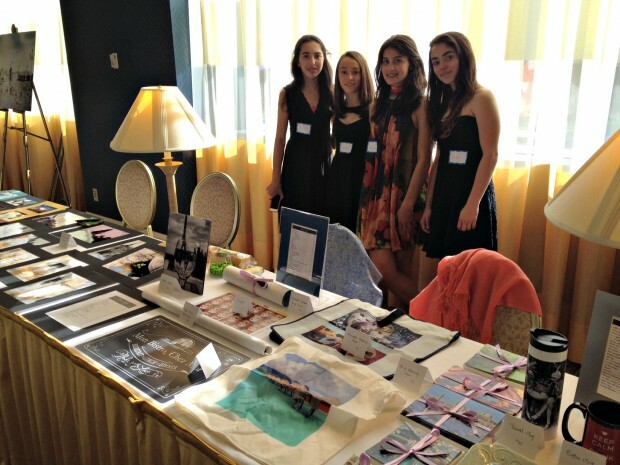 Club members Chloé M., Riley G., Isabelle P., and Marianne P. attended the Gala, where they did a superb job as salespeople and representatives of the club. They raised a remarkable $500 at the Gala, which will be donated directly to the Red Cross. Club members also sold their products at the Middle School concert, and are planning to sell them again at the 8th Grade play. Justin S. reports that the club has more plans for this school year, including educating younger students about life in Third World countries, in class presentations or possibly an assembly. We also hope that the Red Cross Club continues to thrive, as it would be an outstanding legacy for this graduating 8th grade class.